It´s new year´s eve and this makes a great special occasion treat. This is truly divine and increases my passion for cheesecake. It does require a bit of a effort to make, yet oooohhh isn't this super scrumptious? One cut will have you longing for more, I guarantee. 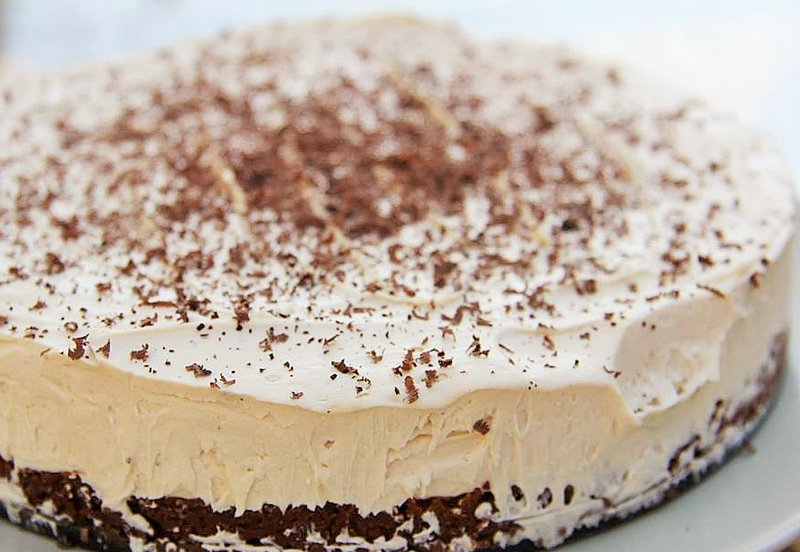 I found this recipe on the BBC food website and simply love it, on the grounds that the cake is less overwhelming on the stomach than most of the cheesecakes I have tasted before, yet it still has the same cheesecake texture you're used to. This delightful cheesecake is the ideal treat for any dinner party or if one is simply alone and treating yourself. It takes a quite a bit of prep time as I already mentioned but you will not be disappointed. 1. Melt the butter in a pan and add the crushed digestive biscuits. Stir to coat the biscuits with the melted butter. 2. Remove from heat and press the butter and biscuit mix into the base of a round 7 inch spring form tin. Put in the fridge and leave to set for an hour. 3. To prepare the filling, whip the cream cheese and then beat in the Bailey´s Irish Cream and icing sugar. Fold in the double cream and grated dark chocolate until smooth. 4. Remove the cake tin from the fridge and smooth the cream mixture on top of the biscuit base. 5. Refrigerate and leave to set for a minimum of two hours. When set, sprinkle with some more dark chocolate.